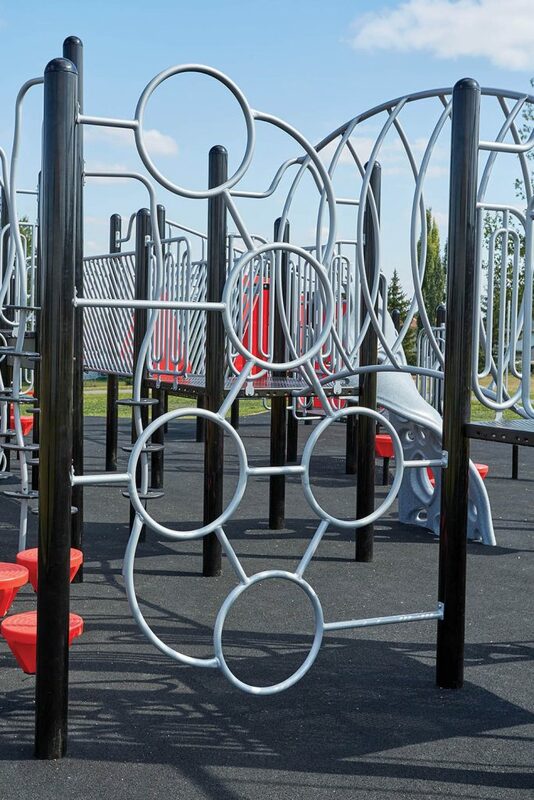 A unique cluster of circles, curves, angles and horizontal climbing elements design to provide a fun and challenging climb. Cluster Climber is a welded assembly of 1.315” (33mm) O.D. x 12 gauge (3mm) Allied Flo-Coat® galvanized steel tube, and 0.1875” x 1.75” (5mm x 44mm) zinc-plated hot-rolled mild flat steel. Entire assembly is powder-coat painted.